As you all know, one of the highlights of both Wii U and Switch is The Legend of Zelda: Breath of the Wild. This title revolutionized the franchise by introducing novelties never before seen as a variety of weapons that wear out and break with use, scalar power and a worked physics engine that grants great freedom for players to face challenges in different ways. 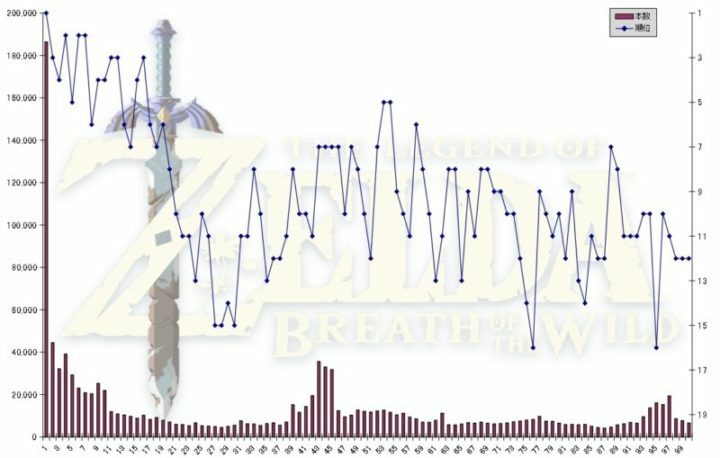 Well, today we bring you some really interesting news from Japan, as it has been shared that The Legend of Zelda: Breath of the Wild has consistently been on the Media Create charts in Japan for 100 weeks in a row. As most of you will know, every week Media Create publishes the 20 best-selling games in Japan. 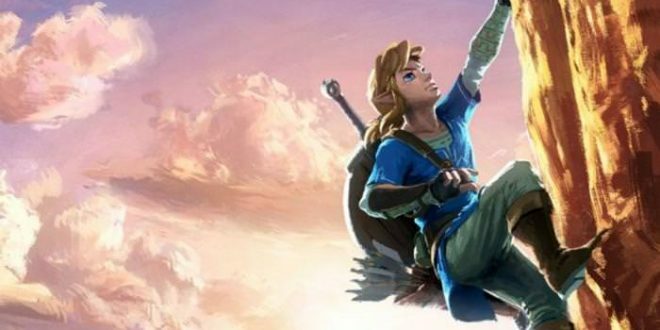 It has been revealed that since the debut of Breath of the Wild in March 2017, it has never fallen below 16 for 100 weeks. Many of us may not be surprised by this fact, but we must bear in mind that it is the franchise’s best-selling title despite the fact that the Zelda saga has never been very popular in Japan, so it certainly has a lot of merit. Forget everything you know about The Legend of Zelda games. Enter a world of discoveries, exploration and adventure in The Legend of Zelda: Breath of the Wild, a new game from the acclaimed series that breaks with conventions. After a 100-year dream, Link awakens in a world he can not remember. Our legendary hero must explore a vast and dangerous world, and recover his memory before Hyrule disappears forever. Link undertakes a journey to find answers in which he will only have what he finds along the way. Explore the Hyrule landscapes as you wish. Climb towers and mountains in search of new destinations and use the mysterious sheikah stone to see a map of Hyrule and discover its most interesting places. Link can cover long distances on horseback, navigate the waters of Hyrule on a raft or slide down the mountain on his shield. And if this were not enough, air transport is also within reach of your hand thanks to the paravela. Thanks to his ingenuity and resources, Link can acquire a lot of different weapons to use in combat. These weapons, however, will wear out with the passage of time, so you should not miss the chance to renew your arsenal. Of course, the key to combat does not only reside in weapons. Link must learn different attacks, such as curved and high shots with the bow or the handling of explosives. Hunt wild animals, collect fruits and vegetables or loot enemy camps in search of food. You will also learn new recipes to add a touch of flavor to your ingredients! These culinary innovations are not only tastier, they will also serve to heal Link and improve their statistics. Expand your adventure with amiibo (sold separately): with some amiibo you can get random objects once a day and, if you use the Link Lobo amiibo, it will appear in the game and join you in your adventure.